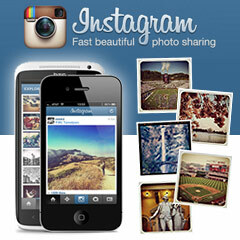 Instagram is one of the fastest growing social networks in terms of popularity. According to comScore, the free mobile photo-sharing app now has more daily mobile users than Twitter, and the projections all point to continued growth. Instagram has over 100 million users; it is adding about 10 million users per month, and 7.3% of users are active on a daily basis. While businesses may not see a direct connection to revenue as easily as with Facebook and Twitter, the recent metrics show that Instagram is still a worthwhile marketing tool. Instagram can provide value as a platform to showcase product images, exclusive previews of future products, and as a branding tool to establish company identity. By providing a behind-the-scenes look at the company through photographs of events, featured employees, and other interests, it can present a personal side that humanizes the organization. Instagram can also be a valuable resource for crowdsourcing photography or artwork, hosting creative photo contests, and connecting with customers. The rapid growth in popularity combined with the fact that the social network is almost entirely based on mobile devices (it launched web profiles in November) shows why Facebook was willing to spend roughly $1 billion to acquire the network in 2012. Do you use Instagram? What creative uses of Instagram have you seen from brands?